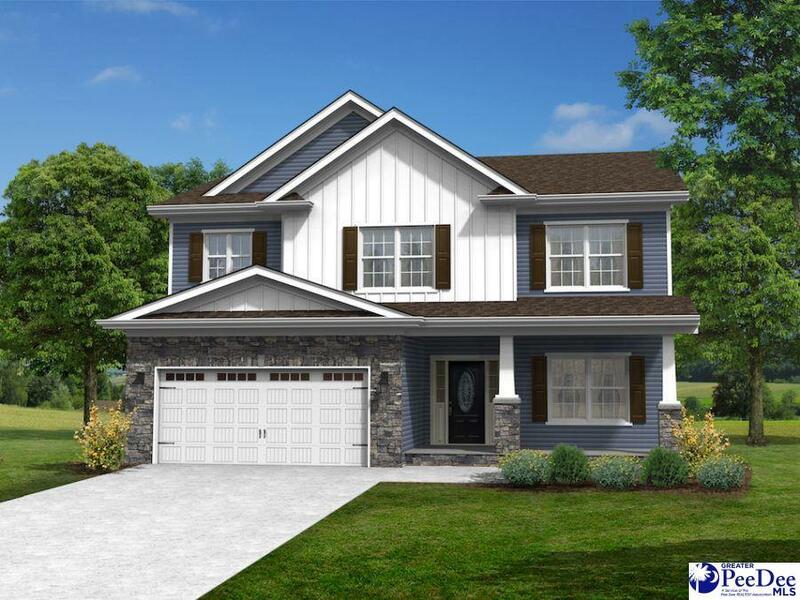 The Brunswick ll floor plan by Hurricane builders on lot 10. Kitchen with snack bar open to eat in and family room. Nice covered patio to entertain. Formal living and dining room. Master bedroom on main floor with tray ceilings, walk in closet, double sinks, shower and tub. Other 3 bedrooms are upstairs. 4th bedroom could be an office. Pick your colors while you can.